The former Waupun police officer charged in a multi-county crime spree has been given probation in one of the counties. A woman accused of driving drunk and killing a dentist who was biking in western Wisconsin has been sentenced to five years in prison. A Jackson County judge who sealed the identities of defendants in three criminal cases defended the move as an effort to protect the innocent, but open-records advocates blasted the action as a violation of the public's right to know. 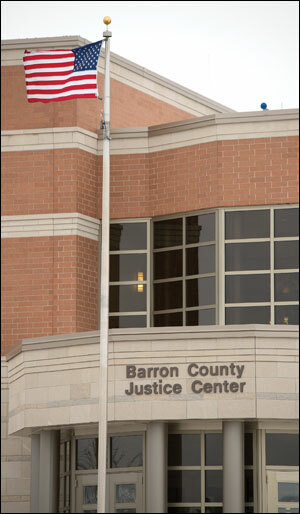 Family court looks a lot brighter at night than during the day at the Barron County Justice Center.